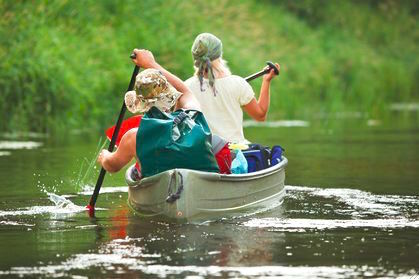 Two tourists paddled downstream for 1/8 of their journey. After that, they carried the boat for the rest of the journey. What fraction of the journey did they walk?